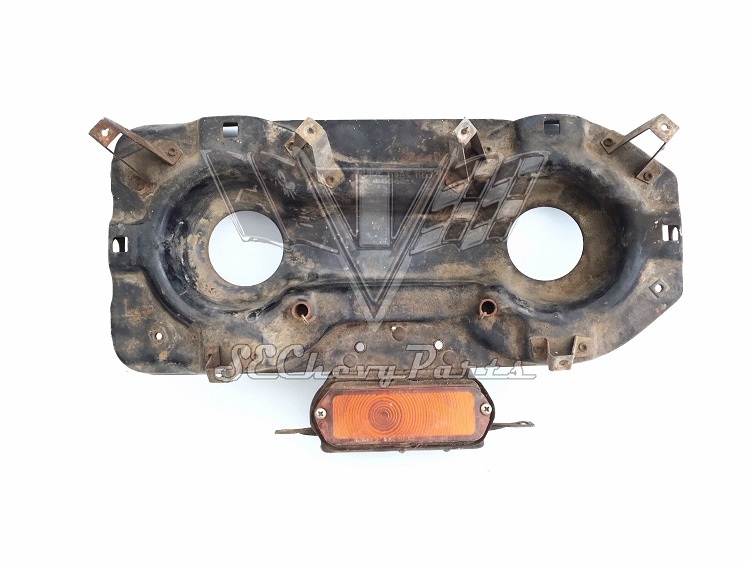 This 1963 Chevrolet LEFT/DRIVER'S SIDE Headlight Bucket is an original used GM part. The headlamp mounting bracket that rivets to the side is sold separately (see additional photos for example). For an additional charge we can restore the headlight buckets (includes new hardware, bulb, and amber lens). Restoration parts are made on a per order basis. Allow 2-3 days to complete your order.